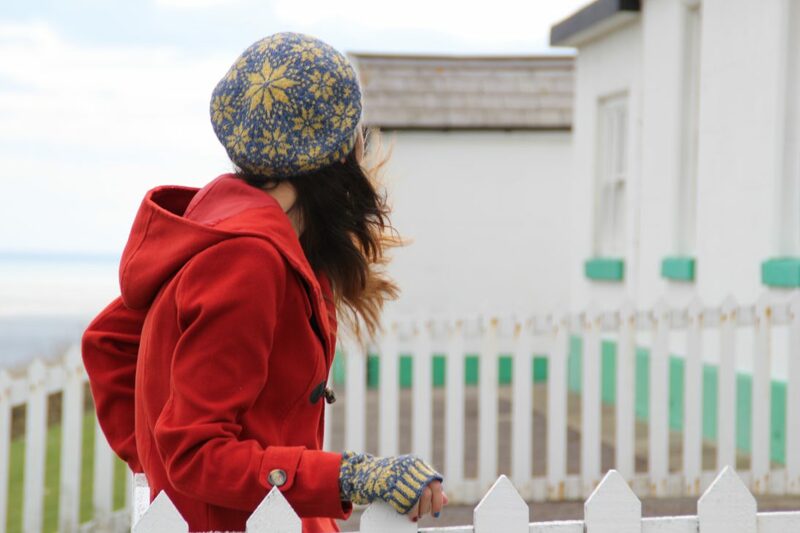 This hat, and the matching fingerless mittens, were inspired by ‘Winter Holiday’, one of the Arthur Ransome books I loved reading as a child, and still do! The children in the book take up stargazing whilst emulating the adventures of polar explorers in a quest to reach a proxy North Pole at the head of the lake on which their adventures take place. It’s an endearing and exciting adventure, as is knitting this hat! To fit 53½(57:61)cm / 21(22½:24)” head circumferences. 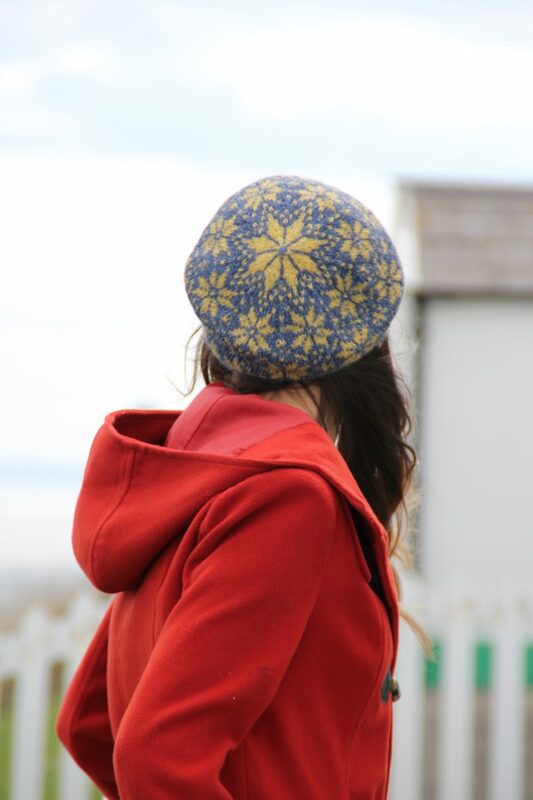 The finished hat measurements include 1¼–2½ cm / ½–1″ of negative ease. Hat circumference is 51(56:59)cm / 20(22:23¼)” unstretched. The medium size will fit most women. 2 colours of a light DK/sportweight yarn with approximately 350 metres/382 yards per 100g (175 metres/191 yards per 50g). The hat requires one 50g ball/skein of each colour. 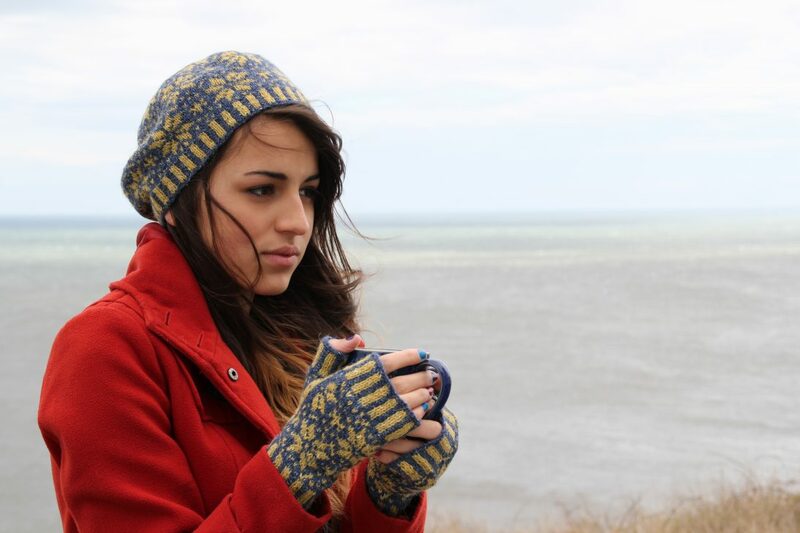 The pictured sample was knitted with Rowan ‘Felted Tweed DK’ in Seasalter #178 (MC) and Mineral #181 (CC). 3.5(3.25:3)mm/US 4(3:2½) needle(s) for small diameter circular knitting. Adjust needle size as necessary to achieve correct tension. The knitted tension/gauge varies from one hat size to another as follows. To get a hat that fits correctly carefully check your tension before commencing. 28(29:31) sts and 30(31:33) rounds per 10cm/4″ in stranded pattern after blocking. Stitch tension is much more important than round tension for this project.